It's a lens that has ONE focal length: 28mm, 35mm, 50mm, 85mm, 135mm for example. A zoom lens on the other hand may have a range like 24-105mm or 70-200mm. So why use a prime lens vs. a zoom lens? 1) Quality - Although the Canon 50mm 1.4 is pictured on this post, you could get a 1.8 50mm lens Canon for $125 or Nikon for $216 (prices as of this post from B&H) over the 18-55mm f/3.5-5.6 KIT lens. You'd be able to shoot in lower light better for one thing and you'd also likely see a difference in image quality for another. 2) Lower f/Stop - I have already mentioned something about the f/stop above, but I will expand on it here. You will not find a zoom lens with a f/1.4 or f/1.8 lens opening. Most zooms have a minimum f/2.8 lens opening and you will PAY A PREMIUM for those. The lower f/stop will allow you to shoot better in low light, but there are also other advantages which in my opinion are often seen in the quality of the image. However, a Canon "L" 70-200mm f/2.8 will definitely yield some serious quality but it's a BEAST of a lens both in carrying it around and the price. Although I own it, I do shoot a lot of my in studio portrait work with my 85mm f/1.8 prime lens because it's a great focal length for portraits and is easier to handle than the 70-200mm BEAST. For many years, the standard lens that came with 35mm cameras was a 50mm lens. In 1981 when I got my first real camera, Pentax ME-Super, it came with a 50mm f/2.0 lens. There is a reason for that: It's because a 50mm lens is the ideal focal length for standard 35mm and creates a natural look that's neither wide angle or close up like a telephoto prime lens. I shot a lot of 2 1/4 X 2 1/4 film in the 1980's. The standard lens for that format which created the same effect as the 50mm on a 35mm camera was an 80mm focal length because the negative was larger thus needing a longer focal length to keep the natural look of the final image like the 50mm prime creates for a 35mm format. Two Steps Forward and Two Steps Back...What? As I mentioned above, I shot 2 1/4 film a lot in the 1980's. As a matter of fact, it's the format that I used for most of the weddings that I shot (I don't do weddings now.). I had ONE lens. That's right! ONE LENS. It was the 80mm standard lens that's the 35mm camera equivalent of the 50mm lens. I shot group shots, candid shots, cake cutting shots, bride and groom leaving the church, getting in the limo, the ceremony from the balcony and any other shots required at a wedding. I would take two steps forward if I needed to get closer or two steps backwards if I needed to get further away. My legs were my built in zoom lens feature. With a prime lens, you don't just stand in one spot and zoom in and out. If you want the shot, you have to MOVE to get it. It's a great way to help you understand composition. Zoom lenses do serve a purpose and I love shooting with my 70-200mm f/2.8. 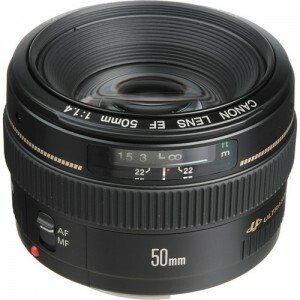 However, you should have a PRIME LENS in your bag and a 50mm is a great lens to start with. Try spending a day walking around shooting with just a 50mm lens. You'll love it and you'll likely never regret it. I own several prime lenses and have others on my wish list. I have also found prime lenses very helpful for shooting DSLR video, but that's another post for another time.